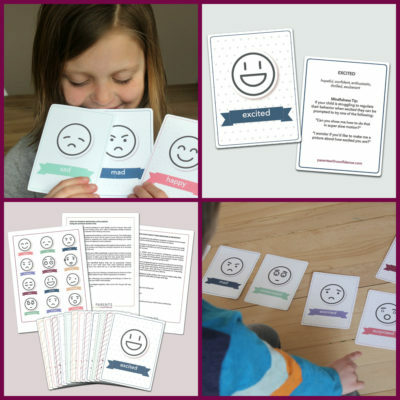 *This post may contain affiliate links which offer a small commission to help keep the emotionally healthy goods coming your way! It wasn’t on account of my first child being a determined, strong-willed child (well, not entirely…). What was the cause of my feeling stuck in a pattern of frustration, power struggles and disconnection with my child? Ineffective parenting skills rooted in control and negativity. 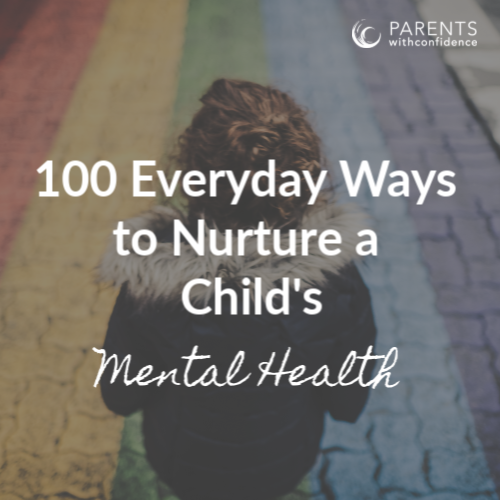 This is precisely when I began searching for more effective ways to discipline and found what would change my parenting forever, positive parenting skills. Then my parenting skills got a priority check. After my three-year-old made it abundantly clear my tactics to manage and manipulate weren’t working (read disconnection, meltdowns galore and constant discord), I was forced to look in another direction and discovered positive parenting (also known as respectful parenting, conscious parenting, and positive discipline). I learned that we have been taught to focus on the surface level when it comes to our child’s behaviors, neglecting the deeper needs driving the behavior. The frustrating cycle I was in with my daughter is one that many parents can relate to, pulling the top of the dandelion out of the ground but failing to address the stronger root beneath. Positive parenting skills echoed what I already knew as a child therapist, children are much deeper than their behavior. To be an effective parent, I would need to focus on the deep root of my child, her heart. When we started implementing positive parenting discipline, my husband and I started to see some major shifts. 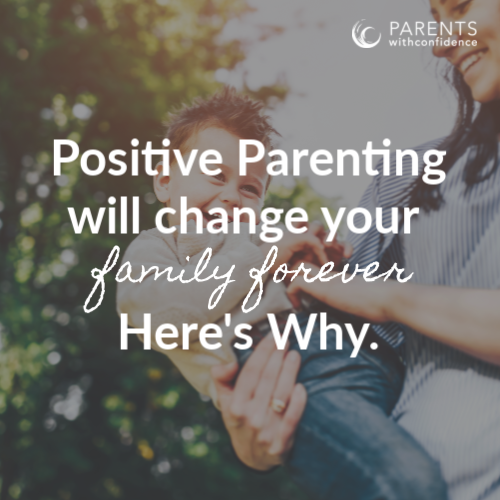 Not only were these positive parenting skills more effective at encouraging listening and cooperation, but they were also completely changing our family dynamic. 1.It has set a tone of respect in the household. Respectful parenting means we are going to teach our child to respect others in the most powerful way possible, by showing them a living breathing model of it. After all, does yelling “I demand respect!” seem like the best way to garner it intrinsically in a child? 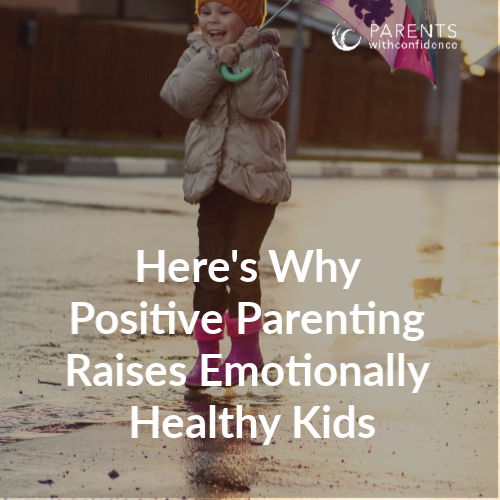 Instead of relying on fear to perpetuate a false sense of respect, positive parenting seeks to teach it, model it, and live it. Of course, there are still days a passerby may think we just walked off the set of a Jerry Springer show, but hey, we are trying our best. Children will rise to their potential when they are treated like fellow human beings, deserving of patience, kindness, and respect. 2. It has made us better communicators. When possible, we aim to integrate a vital positive parenting tip of collaboration over control, when it comes to problem-solving contentious topics or situations. When we build our communication on a foundation of empathy, it becomes easier to see things from each other’s perspectives and find ways to work together toward a common goal. Allowing our children to have a say has strengthened our kids’ abilities to communicate their needs and wants in a respectful and appropriate way. Even when the outcome isn’t what they desire, they tolerate it a whole lot better after their voices are heard and recognized. 3.We see better behaviors and attitudes because of the firm foundation in unconditional love and acceptance. 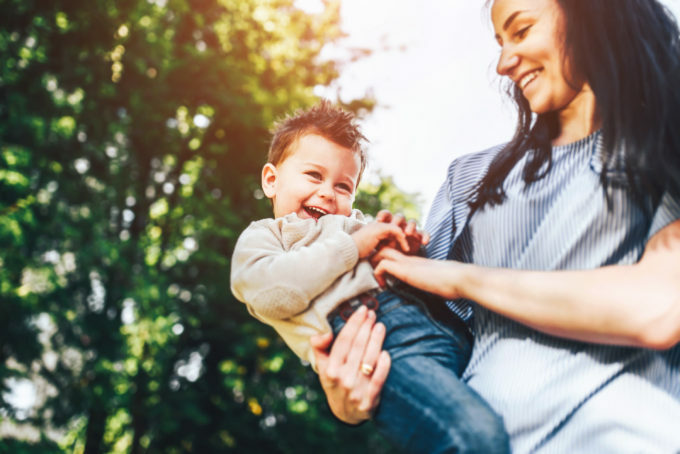 Getting a degree in child psychology, allowed me to learn just how important a secure parent-child attachment is for a child’s healthy development in the early years. 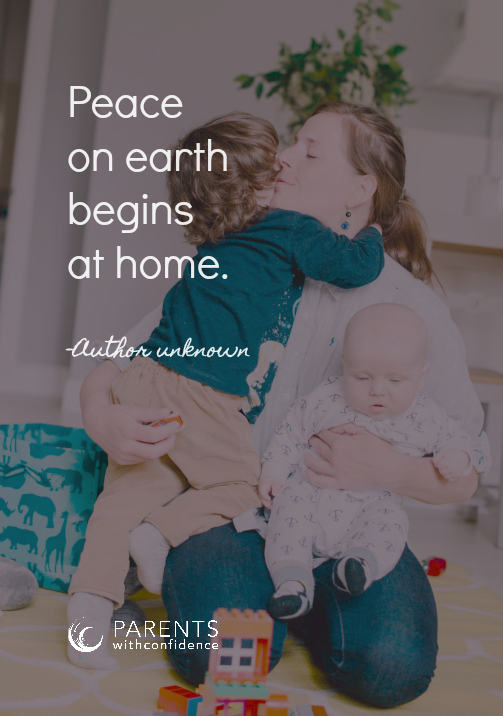 Not until I discovered positive parenting did I realize how significant a role a strong parent-child connection plays in every facet of a child’s life, from toddler to teen. When we started to put connection before correction, we saw an all-around improvement in our kids’ ability to listen, cooperate and be flexible. 4.We enjoy being around each other much more. This one’s my favorite. When I’m not just seeing my child as a bunch of behaviors, and they’re not seeing me as an omnipotent dictator to fear, we actually really like each other. It is also exponentially more enjoyable to be a parent. When it comes to how to be a positive parent, viewing my children as whole human beings with integrity (and on the same team), has allowed me to step back and fully take in the awesome individuals they are, and genuinely enjoy being their parent. 5. Positive parenting skills leave us confident about the framework we’re laying for our children’s futures. Fear and threats never felt good, per se, but it was familiar territory and we were never really aware of any other way. It was easy to see our sensitive three-year-old internalizing our harsh reactions and consequences, through comments like “I can’t do anything right”. Conscious parenting principles reminded us that children are intrinsically good and want to please their caregivers, but parents often jump in out of their own emotional reactions, robbing the child of the opportunity to feel the weight of natural consequences. When it comes to how to discipline a child, trying our best to avoid easy to go to parent tools of criticism and shame, yet remaining strong, conscientious leaders, reassures me that our kids are learning self-compassion and resilience by virtue of making mistakes and learning to cope and move forward (as opposed to being overly harsh on themselves which can turn into anxiety depression or any other number of mental health concerns). 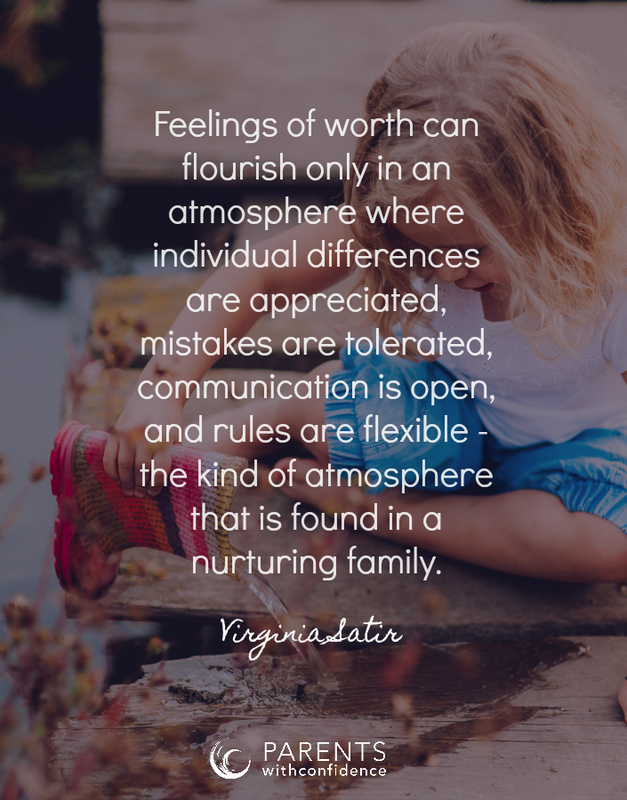 So many families are living in the space of relational disconnect, a space where it feels like our child is more of an adversary and less of an ally. A space where we take our child’s behavior’s personally, instead of looking at their developmental and emotional needs. A space where we see a child’s behavior as paramount, and their heart as a lesser entity. A space where we feel exhausted trying to control our child, at the expense of enjoying them. When our family slips back into this space, I can feel it. It feels heavier, harder, and more chaotic, not like the parenthood I envision. There really is another way. Positive parenting techniques not only leave everyone feeling happier and more peaceful at the end of the day but also leave our child emotionally healthier- for life. P.S. Ready for a happier family? 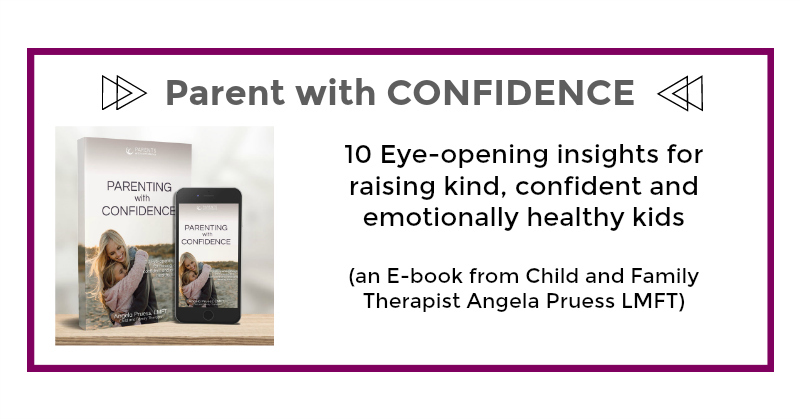 Learn more about Positive Parenting and how to promote cooperation, trust, and strong family relationships in my new book: Parenting with Confidence!